It can be hard sometimes to grok the scale of the gaming community, but the occasional charity event not only demonstrates the hugeness of the industry but also its diversity and willingness to shell out for a good cause. 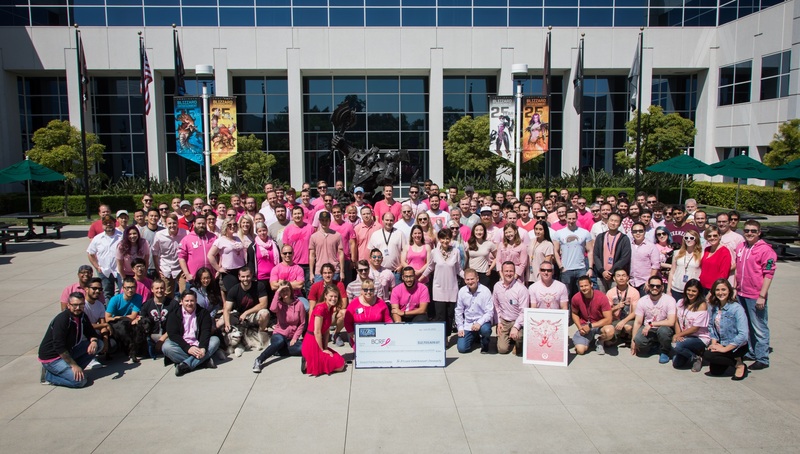 Today Blizzard announced that an Overwatch charity campaign raised an impressive $12.7 million for breast cancer research in just two weeks. Overwatch is an extremely popular team-based shooter game that has made an impression not just with its solid gameplay, but its striking and inclusive character design. This sensitivity to the ever-widening demographics of gaming led them to conceive of this charity campaign back in May. Special skins are highly sought-after, and while many can be obtained through in-game loot boxes, they can also be purchased. In this case, the price was set at $15, rather high for a skin but clearly that didn’t deter players, who shelled out by the thousands for both it and related t-shirts. I asked for a breakdown, but a little napkin math gives a basic idea of the volume. The press release announcing the $12.7 million number says “thousands” of t-shirts were sold at $30 apiece; usually if it’s 10,000 or more they say so, so we’ll just use 10K as our estimate. That makes $300K from shirts, so the remaining $12.4 million means somewhere north of 820,000 people paid for the Pink Mercy skin. And this is by no means the only big gaming charity event. Games Done Quick regularly raises millions, and Penny Arcade’s Child’s Play got so big that it had to be spun off as its own thing. It just recently announced a round of grants funding pediatric hospital equipment and staff, by the way. This event went well enough that we can probably expect more in the future for other causes — I’ve asked Blizzard for any details on that front and will update if I hear back.